FACT: 75% of people make a first and usually lasting opinion about your business based on how professional your marketing materials look. Does your marketing content truly represent the image you think others have of you? Are your marketing materials failing to clearly present the quality, experience, and customer service that your company provides and should be known for? Have you ever tried to manage with inexperienced or outsourced graphic designers only to be left dissatisfied by poor quality marketing materials? Cutting corners to save money on a company's graphics and marketing materials can be short-sighted to think you are saving money. You only end up spending more money in the long run while missing out on valuable business opportunities; like they say You only get one chance to make a first impression. So why waste it? Powerful professional graphic design will create that lasting first impression of your business! 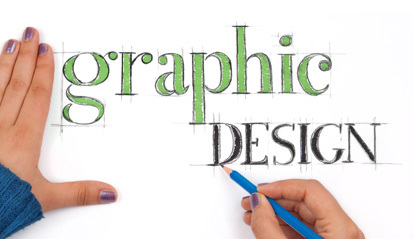 That's why creative representational graphic design is such an important part of business identity. It's vital to get these key graphic designs exactly right the very first time. Clients have chosen us to design their company logo and visual identity as well as providing them with outstanding marketing materials because of our potent graphic design team that has a dangerous combination of creativity, originality, and attention to detail which enables them to create the impression your company deserves. If you think your business could benefit from the kind of image that turns prospects into customers then contact us: [email protected] or give us a call 561-747-0200 today and we'll determine your requisites and how we can take your business to the next level.